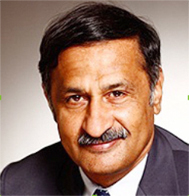 Rajkumar Ramachandran comes from a Hindu (Brahmin) background. He accepted Lord Jesus Christ on 25th May 1980 after a year of reading the Bible all alone and being challenged by the word (John 14:6) and convicted by the Holy Spirit. An Electronics & Telecommunications Engineer with over 20 years of experience working with Multinationals in India and abroad including a 16 year stint with the German Multinational Siemens. He is an Evangelist, Bible Teacher and Revival preacher.Rajkumar began to share the Gospel the very next day after accepting the Lord. He has since travelled to 46 countries of the World by the leading of the Lord. 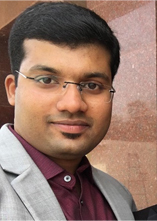 Presently, Rajkumar is the Executive Director of Logos Ministries in India, a ministry founded to ‘assist Churches in the ministry of the Word. He is also the Dean (Honorary) of Faculty of Haggai Institute, India.In recognition of his commitment to the Lord and his ministry in and through the Church the Hindustan Bible Institute and College, Chennai, affiliated to the Asia Theological Association (ATA) conferred on him the Honorary Degree of Doctorate in Divinity in August 2011. He currently lives in Delhi with his family, wife (Ragini), son (Akshay) and daughter-in-law (shruthi). 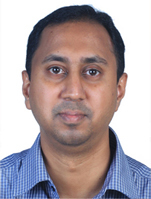 Dr. Vinu is working as a consultant in Neonatology and pediatrics in Credence Hospital Trivandrum. He finished his DCH from CMC Vellore & DNB from CFH, Oddantchatram. He worked in CFH, Oddantchatram for around 7 years.His passion is to teach and live the word of God. He is involved in CMF fellowship and YFC ministries inTrivandrum. His family – wife Soumya J C, children Josh and Jaira. Dr. Naveen is a former student of Dr. SMCSI Medical College.He worked as junior doctor in Herbertpur ChristianHospital, Dehradun and did his PG in Physical Medicine and Rehabilitation, CMC Vellore.He began to share the word of God during his MBBS course, he has taken the leadership to organize many Worship sessions during his study and working period. 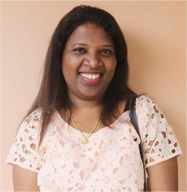 Dr.Divya did her MBBS from Praiyaram Medical College and her PG in Community Medicine from CMC Vellore. She is working in a Mission Hospital a unit of EHA (Emmanuel Hospital Association) in Lakhnadon, Madhya Pradesh.She has been working in this hospital for the past three years. During these years she was able to work in a hospital that caters to the poor and marginalized community. She has witnessed many miracles and grace of Lord Jesus Christ to many people of this community.